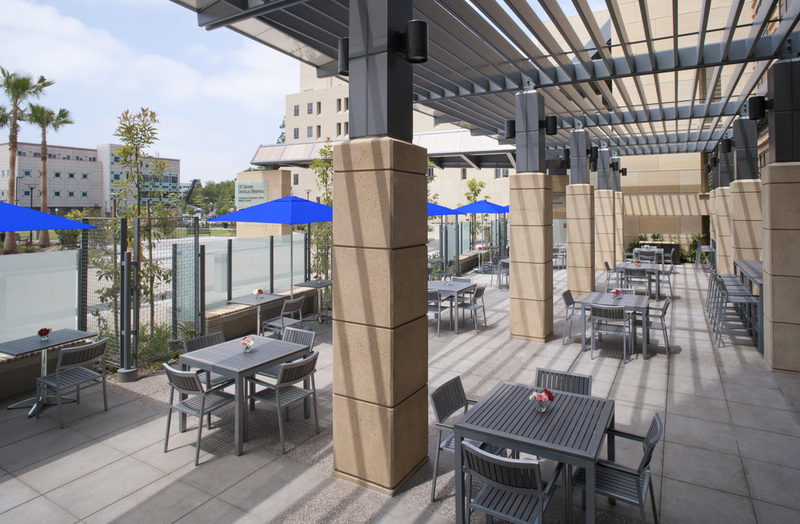 The objective of the outdoor dining project was to provide an expansion space for the existing cafeteria and complement the building exterior. Pickett Design Associates accomplished these goals by selecting aluminum patio furniture with a faux weathered teak "look" and vibrant bench seat cushions. 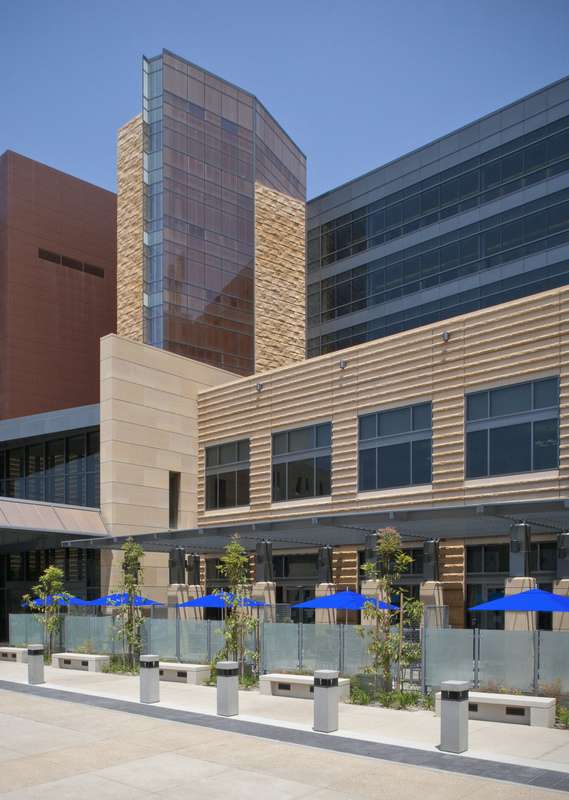 Designed to further enhance the outdoor experience, leafy intertwining vines were planted to grow on brand-new low wire screen walls to eventually form “green walls.” Bright-colored outdoor umbrellas also added some curb appeal to this space that is adjacent to the main hospital entrance. 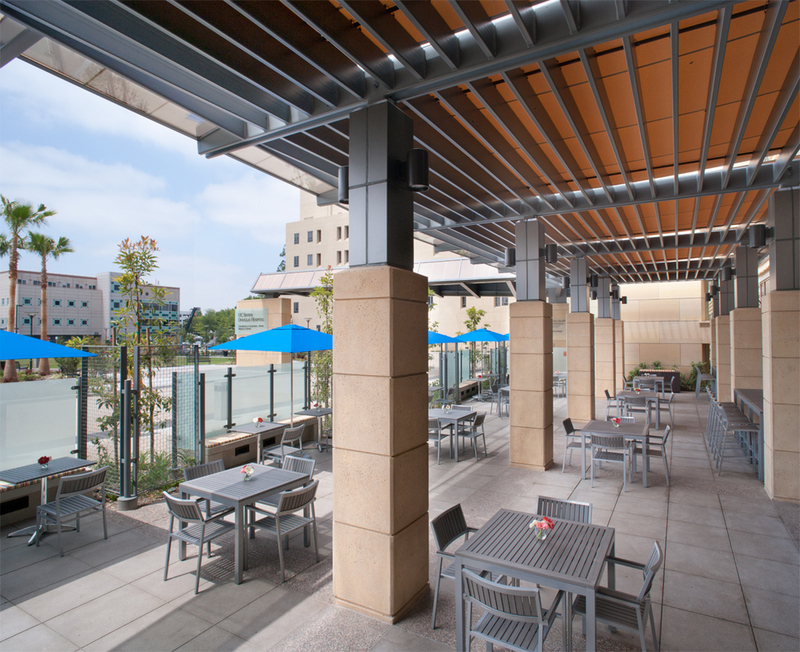 Providing additional shade from the sunny southern California weather, motorized sunshades by Alpha Productions were installed over the existing architectural trellis creating a peaceful place to dine and relax.